Want to throw a fall party? 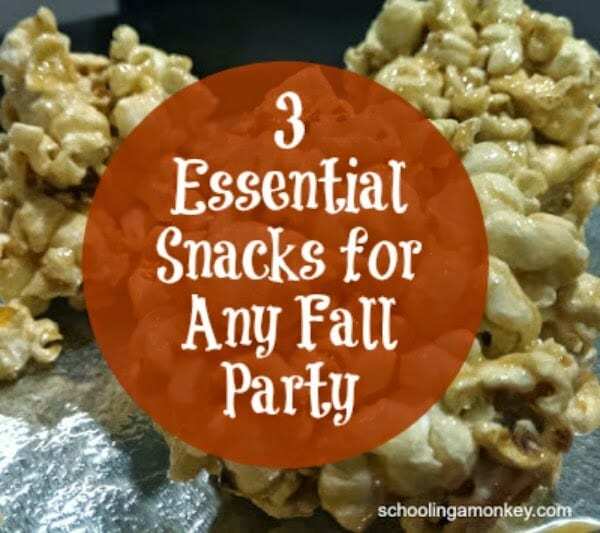 Use these fall party foods and your party will be complete! For our fall party, we made caramel apples, caramel popcorn, and homemade(ish) apple cider. I have always wanted to try my hand at making my own caramel, and this year I finally did it. 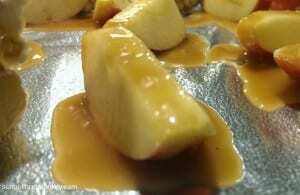 I used this corn-free caramel recipe. Slightly too runny, but still amazingly delicious. Making the caramel went surprisingly well, but it ended up runnier than I would have liked. I was a little confused, because the recipe says to cook the caramel until the soft ball stage (248 degrees Fahrenheit), which I did, but it was still a little too soft. I think what happened is I didn’t boil the sugar by itself for quite long enough. I don’t know what temperature would be best for the initial boiling. The recipe says until the sugar is caramelized, but I’m not sure what that looks like. Perhaps the sugar has to boil until the soft ball stage as well, or maybe even longer? Any experienced caramel makers want to clue me in on the secret? At any rate, our caramel was delicious. If you want a tasty caramel recipe, definitely give this one a try. Although it was too runny for the apples, it was just about the perfect consistency for our popcorn balls. If you want to recreate our popcorn balls, I’ll let you in on the secrets. These were good for three days. 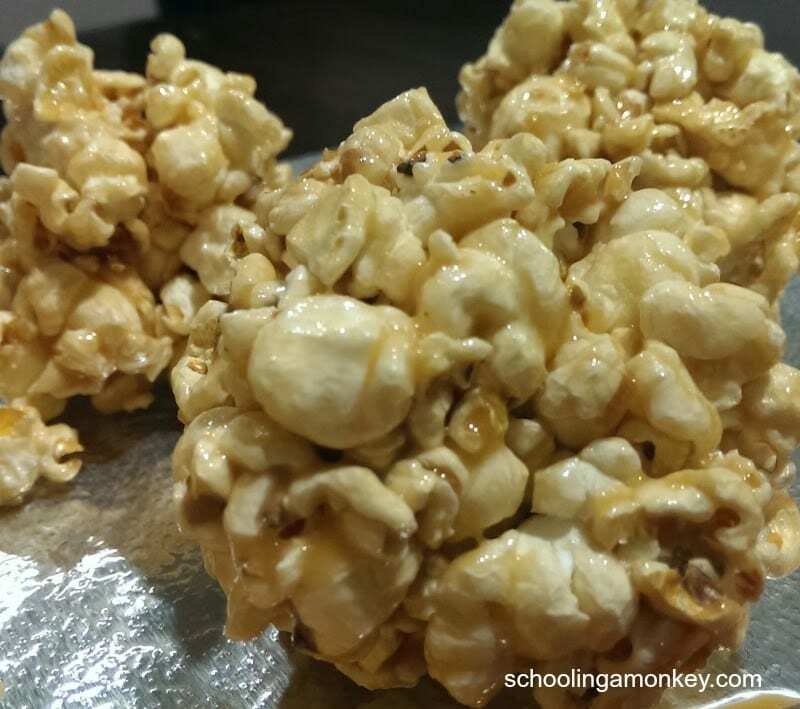 Coat the popcorn balls in the caramel while it is still hot. Stir to coat the popcorn evenly. Let the caramel cool some before trying to shape the popcorn into balls. This will save your fingers and make it easier to shape the balls. Coat your hands with butter or coconut oil when shaping the balls. Compress the balls so they maintain their shape. Set them onto foil or wax paper to finish cooling. Dry the orange peel in the oven for about 2 hours. Heat the cider on the stove in a large pot. Use a mortar and pestle to grind the spices into coarse pieces. Throw the spices into the cider mixture along with the orange peel. Allow the spices to simmer in the cider for 1-2 hours. What are your favorite fall party foods?